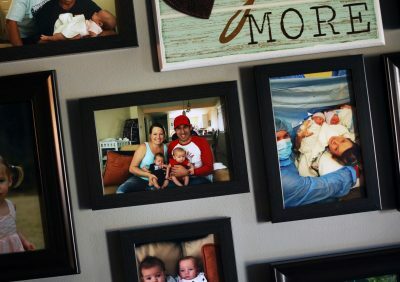 Over Memorial Day weekend, when the twins were 3 weeks old, half a dozen excited family members came to Jenn and Robbie’s home and took turns cradling the twins. The girl seemed particularly fussy. At times, she cried so hard that she seemed unable to catch her breath. Robbie later called it a “scary cry.” But the couple figured she was just colicky. Then, the following Tuesday, as Jenn was feeding her, she noticed swelling and bruising on the baby’s right leg. She told me that she called Robbie, who was at work, driving a truck for a uniform-supply company, to tell him that something was wrong. Jenn’s mother came over and told her to take the baby to the pediatrician. The same doctor had examined the twins just a week earlier and found them to be in good health. This time, he told Jenn to take the infant to the emergency room at nearby Palmetto Health Children’s Hospital immediately. 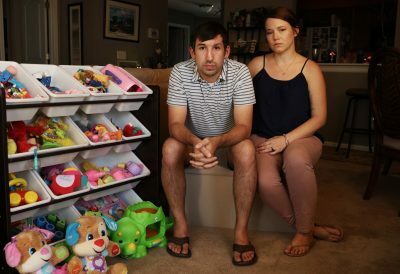 Some among the medical staff and social workers involved in the case thought that Jenn reacted strangely to the discovery of her children’s injuries. She didn’t show emotion or seem bothered. Her affect was “flat,” according to the D.S.S. report. 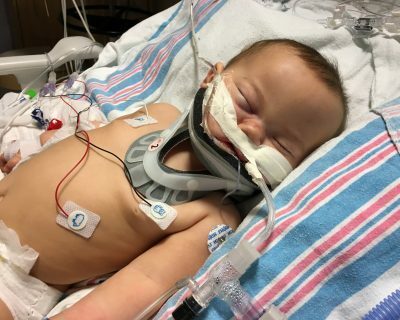 The hospital’s abuse specialist concluded that the baby girl’s fractures were “diagnostic of physical abuse” and that the bruises were “inflicted.” D.S.S. concluded the boy’s injuries were also the result of abuse. A factor in this determination was that Robbie and Jenn did not have “a plausible explanation” for the injuries. “We had no idea,” Robbie told me later. Michael Holick has a 10th-floor office at Boston University, where he is a professor at the medical school. His windows offer a view of the tree-canopied medical school campus below. A makeshift system of plastic bags and buckets is rigged to collect the rain water that often leaks in. Gray tape binds the air duct, and the tiled floor is stained. 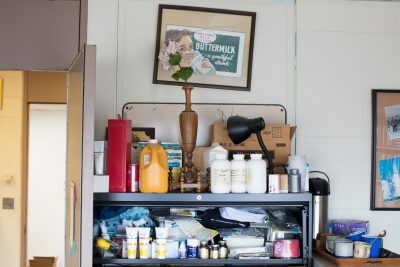 Two lab coats hang in the corner and a stethoscope rests on a desk next to photographs of Holick’s wife and two adult children. Holick has worked in this space since he first arrived on campus, 30 years ago. In all the cases he has worked on, Holick has never concluded that a child was being abused. On the rare occasions when he didn’t diagnose EDS, he attributed the bone fractures to rickets or vitamin D deficiency. 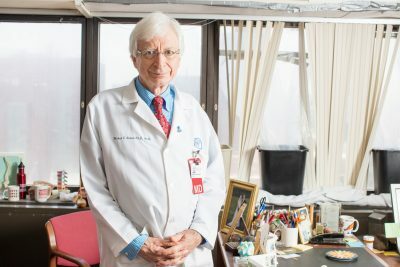 Many geneticists and bone specialists find it troubling that he diagnoses EDS in nearly 100 percent of the cases he examines. According to the National Institutes of Health, EDS affects, at the most, 0.02 percent of people worldwide. The rate at which Holick diagnoses the disorder “doesn’t fall into the mathematical probability of chance,” Brad Tinkle, a clinical geneticist at Peyton Manning Children’s Hospital, in Indianapolis, said. 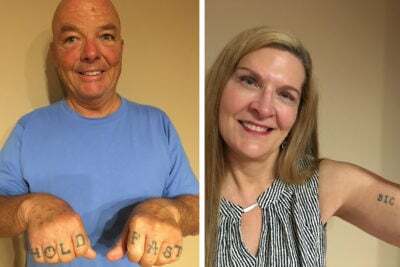 Holick retorts that his clients don’t come to him by chance; parents contact him after doing their own research and realizing that they or their children have symptoms of EDS. He adds that he hasn’t seen a single actual abuser pretending to have EDS and contacting him in search of a “get out of jail free” card. In 2017, he co-published an article about his EDS work in the little-known journal Dermato-Endocrinology, where he is an associate editor. (He was unable to get more prestigious medical journals to publish the study.) In the study, Holick examined the cases of 72 children who the authorities believed had been abused. He diagnosed 67 of them with EDS. In a third of the cases, he based his diagnosis on physical exams of relatives of the children, not the children themselves. Lee and several other experts said that hypermobile EDS typically cannot be diagnosed in children younger than five. Because infants are usually very flexible, they will likely score high on elements of the test given to older patients to determine hyperflexibility, a key aspect of EDS. Also, symptoms of the condition do not usually manifest until later in childhood, or even adulthood. “I would not be comfortable, ever, telling a parent that an infant has (hypermobile) EDS,” Lee said. Holick’s credibility as an expert witness is buttressed by a formidable scientific resume, mostly related to his work on vitamin D. As a graduate student, at the University of Wisconsin, he discovered the active form of vitamin D, which led to treatments for bone disease in kidney patients and for psoriasis. He later discovered that orange juice helps the body absorb vitamin D, a finding that led to FDA approval for vitamin D-fortified orange juice. NASA tapped him to examine bone loss in space. When a mated pair of Komodo dragons at the National Zoo, in Washington, D.C., failed to produce a live hatchling, Holick determined that their glass enclosure was inhibiting vitamin D production. The dragons soon procreated. 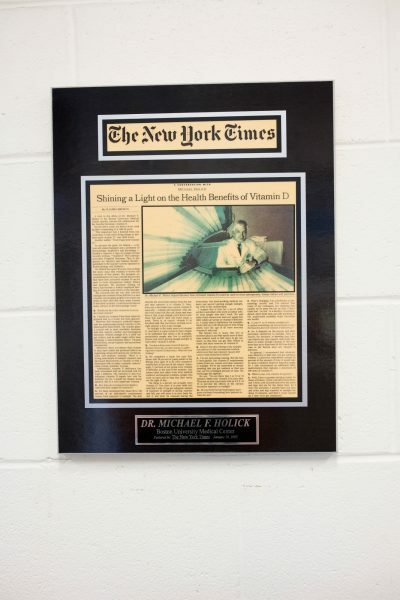 Holick, who is now 72, gives talks around the world on the importance of vitamin D. He was billed as a “legend” at the most recent annual meeting of the American Association of Clinical Endocrinologists. He has published more than 500 articles in peer-reviewed journals and more than 200 reviews and book chapters. Since 2011, other scientists have cited him almost 110,000 times, making him one of the most frequently cited researchers in the world. He attributes his prolific output to his ability to function with minimal sleep. He has diagnosed himself with a sleep disorder that he said he shares with several notable figures throughout history, including Michelangelo. One day, when I visited him at his office, Holick said he had been there since 2:30 in the morning. Born in Jersey City, New Jersey, Holick knew from an early age that he wanted to be a scientist and a physician. His father, a machinist, and his mother, who worked part-time at a bakery, raised Holick and his four younger siblings. When Holick was 5, the family moved to suburban Linden, New Jersey. He had an early fascination with dinosaurs, and “Jurassic Park” posters hang on his office wall. 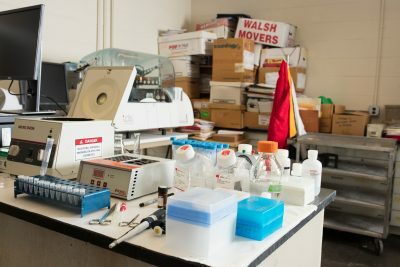 When he was in the third grade, his father bought him a chemistry set, putting him on a path to an undergraduate degree in chemistry from Seton Hall University. Almost seven years ago, a couple from New Hampshire called Holick. They were seeking an expert in bone disease to figure out why their son at 7 months old had suffered fractured bones in both arms from no apparent traumatic cause. Doctors believed that the fractures were caused by abuse, and social services had removed the boy from the home. Holick invited the parents to his clinic. When he shook the mother’s hand, Holick recalled, he knew immediately what was going on. There are 13 types of Ehlers-Danlos syndrome. The most common, and generally considered the least severe, is hypermobile EDS. The most remarkable feature of hypermobile EDS is joints that extend far beyond the normal range. Some people with the condition have made a living as side-show contortionists, using stage names like Elastic Skin Man and the Human Pretzel. That extreme flexibility can also be an advantage in sports like gymnastics and swimming, though the syndrome also makes it easy for joints to dislocate and for skin to bruise. 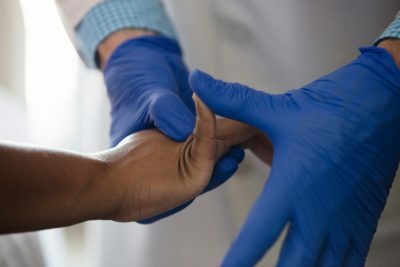 What Holick noted when he shook the mother’s hand was that her skin was doughy and her joints were flexible — both classic signs of Ehlers-Danlos. He evaluated the baby and found that he also had flexible joints and doughy skin. Far from being abused, Holick concluded, the injured boy had EDS, and this condition predisposed him to weak bones that could fracture from normal handling. He testified in court on the family’s behalf, and the baby was returned to his parents. Word of Holick’s success began to spread. He now receives pleas for help from parents accused of abuse on almost a daily basis. Holick said he doesn’t charge for his services, though he does solicit donations for his Ehlers-Danlos research. About a quarter of the funding for his EDS research in the past four years — about $125,000 — has come from two families who had abuse charges dropped after Holick intervened in their cases, he said. Holick noted that Robbie’s skin had a doughy feel and his joints were extremely flexible — he could touch the floor with the palms of his hands without bending his knees. Jenn had a history of bruising easily and feeling lightheaded when she stood up quickly. These were all symptoms of hypermobile EDS. Holick diagnosed them both with the condition. If one parent has hypermobile EDS, the chances of a child inheriting it are 50 percent. If both have it, the odds increase to 75 percent. Holick determined, with “a high degree of medical certainty,” as he wrote in a report, that the twins had the condition, too, and that their fractures could have been caused by bone fragility associated with EDS. While state social services officials believed that the injuries were the result of abuse, they could not identify a perpetrator among the people who came in contact with the twins that Memorial Day weekend. Officials did file a neglect charge against the Rays, accusing them of failing to seek prompt medical care for their daughter. The charge, if substantiated by a judge, could have prevented the Rays from regaining custody. A guardian ad litem, assigned by the court to represent the interests of the twins, recommended that the family be reunited. The guardian wrote that she had “witnessed the smile” the children gave when Jenn and Robbie entered the room. The twins’ pediatrician, the guardian reported, did “not see any red flags that would suggest Jennifer or Robbie had anything to do with this.” Finally, the guardian cited Holick’s finding that the children had symptoms of EDS. Last December, the Rays accepted a deal with the state that approved the return of the children if the couple successfully completed counseling. Even before the counseling was finished, the state allowed the twins to come home for unsupervised weekend visits, starting at Christmas, as the first step toward a permanent reunion. A 2008 article in the journal Pediatrics looked at some of the nearly 43,000 fractures in children under 3 in the years 1997, 2000 and 2003. Of those cases, the authors found that about one in eight was diagnosed as resulting from child abuse. That proportion doubled, to one in four, for babies who were less than a year old. Doctors say one reason for the difference is that children under a year aren’t walking yet, so they don’t fall on their own or run into things. Researchers first linked certain types of fractures to child abuse in the 1950s. Since then, the methods for distinguishing accidental injuries from those caused by abuse have become more sophisticated, but there is no test or evaluation that can definitively determine whether a fracture is the result of child abuse. The easiest cases to diagnose as child abuse are the most brutal — those with devastating, widespread injuries. The truth is harder to discern when seemingly caring parents bring a child to the doctor for a different ailment and, upon being confronted with evidence of fractures, are at a loss to explain them. A sizable chunk of Holick’s cases fall into this category. The father had been charged with abuse after his 4-month-old son suffered a broken arm. He said he had simply turned the boy over in the crib, and the baby wiggled and fell a short distance onto the crib mattress. The father heard a crack and the baby stopped moving his left arm. 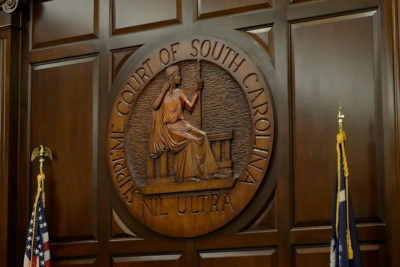 State Circuit Court Judge Susan Carbon initially considered it an unusual injury for a short fall onto a padded surface. “The question is whether the injury was intentional and whether there was more behind the explanation of the fall,” she wrote. Holick examined the parents and the boy and concluded that they all had EDS. It “could easily explain” the fracture, Holick wrote. He then took the stand and awed the judge. She called his 127-page resume “nothing short of stunning.” The analysis by the state’s medical experts “pales in comparison to Dr. Holick’s detailed explanation,” she wrote. “In Dr. Holick’s opinion, an infant with these conditions can easily sustain a fracture with ‘normal handling.’ [The child’s] skeletal structure, in Dr. Holick’s view, is extremely fragile. Dr. Holick has seen numerous instances where lesser-trained persons interpreted injuries such as that sustained by [the child] as abuse when, ‘with a very high degree of medical certainty,’ they resulted from EDS, not intentional abuse.” She dismissed the charges against the father. The Philadelphia case soon took a turn, when the mother had another baby. At 7 weeks, the infant was diagnosed with a fractured right leg. Holick was interviewed again and said there was “a very high degree of medical certainty” that EDS could explain the injury. “I wouldn’t hesitate to have the children returned to the parents,” Holick said. B.U., like most universities, guards the academic freedom of its professors by giving them wide latitude to express controversial views, particularly outside the classroom. B.U. administrators would have to show that Holick’s courtroom utterances lack scientific merit or violate accepted professional standards in order to discipline him, John Wilson, the author of the 2008 book, “Patriotic Correctness: Academic Freedom and its Enemies,” said. But Holick’s critics argue that his statements fall outside the bounds of academic freedom, because they have profound repercussions for families and children. “Academic freedom is not just about saying what you want,” John Leventhal, the medical director of the Yale-New Haven Children’s Hospital Child Abuse Program, said. 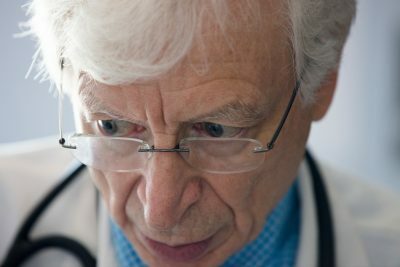 In an article for the Journal of the American Medical Association last year, Leventhal and his co-authors said that academic medical centers should take some responsibility for the testimony of physicians who promote “flawed theories” in child-abuse cases. “If medical faculty at these institutions testified under oath that smoking did not cause cancer or that HIV did not cause AIDS, would such testimony be tolerated?” he wrote. 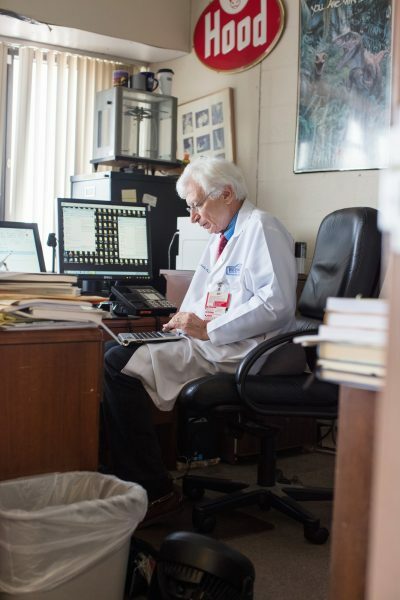 While the medical school has largely supported Holick, under the banner of academic freedom, the affiliated Boston Medical Center — where he is the director of the Bone Health Clinic — has taken a dimmer view of his outside work. The hospital has the busiest trauma center in New England and its child-protection team reviews about 800 cases per year. In May 2017, Boston Medical Center banned Holick from using “its facilities to treat or evaluate patients under the age of thirteen for any reason,” the hospital said in a statement for this article. It said that its “medical leadership” made the decision, but didn’t explain why. Holick said that complaints about his child-abuse work prompted the edict. The hospital did let Holick consult on one pediatric case that didn’t involve alleged abuse, he and the hospital said. However, he infuriated higher-ups when, at a mother’s request, he also examined twin 2-year-olds who had allegedly been abused. According to Holick, the medical school’s chairman of medicine, David Coleman, told him, “We would be thrilled if you retired and would leave.” He was warned that he would be fired if it happened again. Boston University declined to comment regarding Coleman and said that personnel matters are confidential. The child was one of Jenn and Robbie Ray’s twins. Officials in South Carolina had agreed to a plan to gradually reunite the family. They‘d had three weekends of unsupervised visits. Now the local newspaper featured a mug shot of Robbie Ray in orange prison garb. The explanation is, in many ways, typical of how Holick views these cases. He is quick to declare that a trivial accident has resulted in injuries that can be explained by his diagnosis, that the child has received incompetent medical care from less knowledgeable doctors and that the authorities have rushed to judgment. There was no delay in treatment or missed diagnosis of a brain injury. When the infant arrived at the hospital, the trauma team met her and inserted a tube into her trachea to help her breathe. A CT scan showed that a hematoma on the right side of the brain was shifting the brain to the left. Nor could Holick’s comment that she “bumped her head” explain the damage to the rest of her body. Her right leg was broken near the thigh. A photograph from the hospital shows the infant lying on her back, with one eye swollen shut and bruises on her right eye and nose. There appears to be dried blood on her left hand. One of the emergency-room doctors who treated the child was skeptical about Robbie’s story. She wrote in her notes that the “mechanism of injury” — a short fall from an indoor swing — “does not fit clinical presentation on arrival.” In a repeat of the first time the girl was brought to the hospital, six months earlier, Susan Lamb, the child-abuse specialist, was called in to evaluate. She didn’t believe Robbie, either. The fall he described couldn’t have caused the girl’s injuries, she concluded. Three days later, Robbie was at home and heard a knock on the door. He peered out a window and saw several police officers in tactical gear. Robbie was shackled at his wrists and ankles and led away. He was charged with abuse to inflict great bodily injury upon a child, a felony that carries a sentence of as long as 20 years in prison. He pleaded innocent and was released on bail. Before Robbie faces a criminal trial, the child-abuse allegations will be weighed in family court. If the judge finds that there has been abuse, the D.S.S. has said that it will move to revoke Jenn and Robbie’s parental rights, which would likely lead to putting the children up for adoption. Police and the D.S.S. haven’t said what they think happened. When D.S.S. investigators came to the house, they wanted to know about the family’s trip to see Holick, according to a recording Jenn made of the interview. They asked for dates, receipts and the names of everyone who traveled to Boston. Jenn and Robbie talked to me without a lawyer present, taking occasional cigarette breaks on the back patio. The only other people in the home were Jenn’s parents, who stopped by toward the end of the interview, and who are draining their retirement funds to pay for the legal fight to return the twins to Jenn and Robbie. The twins, Jenn told me, are in foster care about 90 miles away. 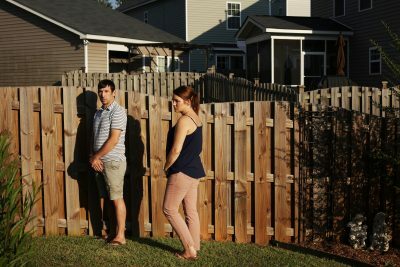 Robbie and Jenn believe that Lamb, the abuse specialist, took an immediate dislike to them after the Memorial Day incident and saw the swing injury as an opportunity to separate them from their children permanently. Jenn called the doctor a “liar” who is “evil,” “wicked” and a “narcissist.” A spokesperson for South Carolina’s Department of Social Services declined to comment. Lamb said that medical-privacy laws prohibited her from discussing the case. A spokesperson for Palmetto Health Children’s Hospital said that child-abuse experts there, including Lamb, are consulted roughly 50 times a year on suspicious injuries. Since 2007, they have found that abuse is medically indicated in about half of the cases they’ve seen. When I confronted Robbie about the video, he first reiterated that the incident was “news to me.” He eventually acknowledged that he was at the scene and offered a series of new explanations — for example, that a third person had brought him there after the accident — that are contradicted by the recordings. Nothing has surfaced to indicate alcohol was a factor in either of the alleged abuse incidents. Senior reporter David Armstrong is an adjunct professor of journalism at Boston University. Correction, Sept. 26, 2018: This story originally said that Michael Holick has tenure. B.U.’s medical school does not grant tenure.